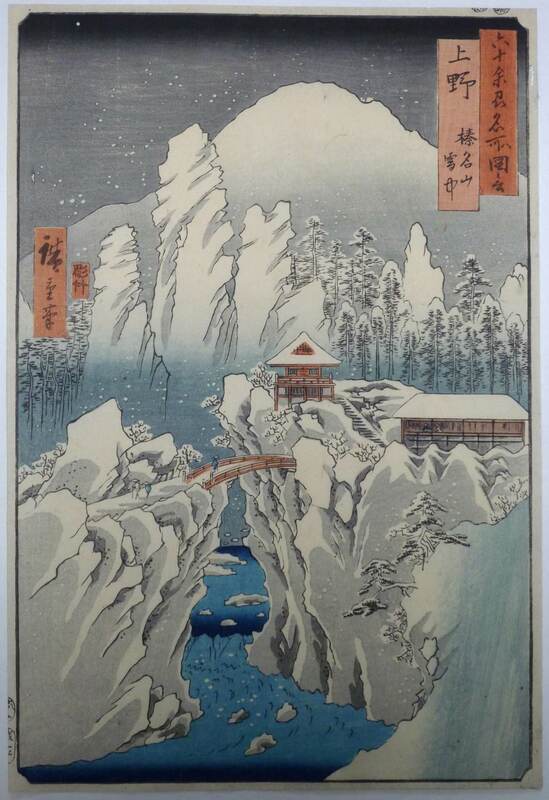 Mount Haruna in snow, Kozuke Province.One of the best designs from Rokuju yoshu meisho zue, “Famous Places in the Sixty-odd Provinces.” The series published by Koshimuraya Heisuke between 7/1853 and 3/1856 (this being 8/1853). Very good impression and colour. Margins trimmed a little, otherwise very good condition. Signed Hiroshige ga.